Many people love artwork, but don’t quite have that designers touch when it comes to arranging it on the wall. 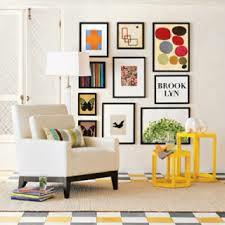 After all, there are lots of things to consider such as the size of the frame, the symmetry, and the style of the frame. Here are some ways that you can arrange your art just like the pros. 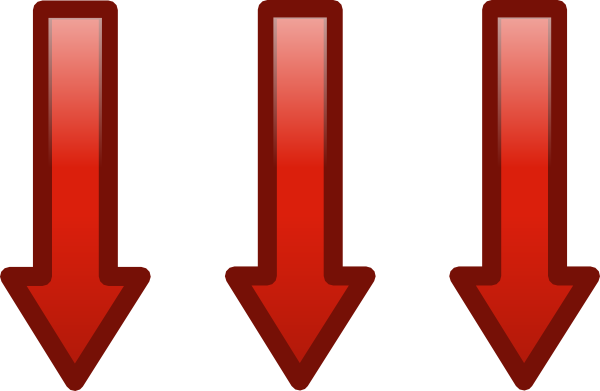 Linear: In this style arrangement, pictures are hung in a line , either horizontally or vertically. This style emphasizes rhythm and balance. One benefit to the linear configuration is that it works especially well with pieces that are the same size and are framed with the exact same frame. 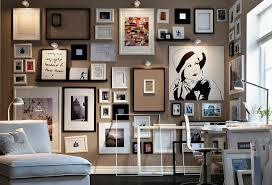 However, you’re going to be a little limited by the wall width or height and the quantity of pieces you want to hang. Grid: In a grid style, pictures are hung in precise rows and columns that emphasize order and symmetry. Similar to the linear approach, the grid configuration also lends itself to artworks of the same size and with the same frame. The grid method works especially well for collections with numerous pieces. A grid system is more flexible, as it works well for walls with little or a lot of wall area. You can hang pieces as high, low and wide as you wish. Pieces can be hung either close together, or farther apart. You will need to have enough pieces to create full rows and columns. A grid installation may be tricky to hang because all of the frames must align exactly vertically and horizontally. It’s unlikely the back hanging wires will be the exact same length, so you’ll have to measure each individually. Clustered: In this configuration, artwork pieces are arranged within a loosely defined, more organic space. Although asymmetrical, a clustered configuration is still balanced. A clustered approach is ideal for artworks of various sizes and with various frame finishes. It’s also possible to add additional pieces without dismantling and rehanging the entire installation. With this arrangement, you have complete freedom to use up an entire wall or just a portion of it. It depends on whether you’re trying to maximize your installation size or draw attention to a furniture piece. Besides architectural barriers and the wall size itself, this approach comes with perhaps the fewest limitations. However, you should try to maintain a fairly consistent distance between the frames. Otherwise it can look messy. Also try to strive for frames of similar thickness. Salon Style: Salon style is a classic; it is a good way to showcase pieces of art of different sizes and with different frame materials, especially if you have a sizable quantity of pieces. The framing materials define the space with hard, reflective surfaces, so this tends to make a room feel more cozy. This approach is best used in spaces with high ceilings. However, arrange your furniture first; you don’t want to hang the entire wall and then realize a dining room chair back hits a painting or the sofa back doesn’t clear the bottom of a frame. On Shelves: In this arrangement, pictures aren’t hung on the wall but leaned on an architectural feature, such as a shelf. This is a good way to hang if you like to change your artwork frequently. The shelf approach also offers an added opportunity to layer smaller frames in front of larger ones. Depending on whether you want a single shelf or multiple shelves stacked upon each other, you can pull this look off with a large or small wall. The size of your wall is a limitation in terms of the shelf size but, as mentioned above, this is a flexible approach allowing for moving and changing pieces. If you’re considering stacking shelves, you need to make sure the height of your largest picture on each shelf will fit. 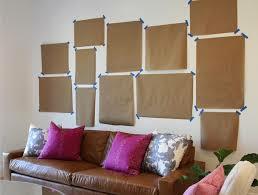 Leaning Against a Wall: You need enough wall space and floor space clearance to accommodate the piece. A major benefit to this approach is that there is no need for holes to drill or nails to hammer, and it’s a great option if you have a large piece of artwork and insufficient wall space to hang it. Leaning artwork is unusual and, like salon style, can be dramatic. If you’re clumsy or you have small children or pets, this is probably not the best route to choose. You need to be able to move the artwork to clean behind it. Singles: this approach means hanging up a single large artwork. 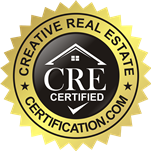 A single artwork creates a strong focal point or zone in a room. It’s also easier to hang one piece than align several pieces, such as in a grid arrangement. For a large artwork, you’ll need enough wall space for the piece and breathing room around the perimeter so it doesn’t look cramped. You’ll need to take into consideration the weight of the artwork and how to anchor it into your wall material in the desired location. Logistics are tricky too; is this something you want (or are able) to tackle on your home stepladder, or do you need professional help? Most large single artworks are centered either on a wall, or above a fireplace. 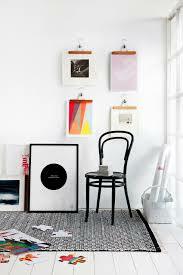 Whichever way you choose to hang your artwork, if it looks proportional, you can consider it a success. Remember to always avoid hanging one or two small paintings on a large wall. I love arranging artwork! It’s actually one of my hobbies. Any time a friend wants to hang a piece of art, she always calls me to come over. Reading articles about how to arrange pieces is also one of my hobbies. I like to learn the new trendy ways to hang art, so thanks for the good read!